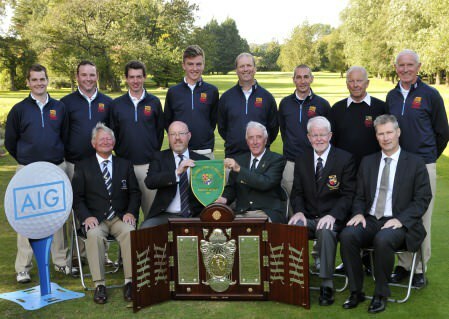 Ivor McCandless (President, Golfing Union of Ireland) presenting Michael McAvoy (Captain, Clandeboye Golf Club) with the Barton Shield after their victory at the GUI All Ireland AIG sponsored Cups & Shield National Finals at Royal Tara Golf Club today (19/09/2013). In front (from left) Noel Rowland (Captain, Royal Tara Golf Club), Ian Boucher (Vice Captain, Clandeboye Golf Club) and Aidan Connaughton (Consumer Lines Director, AIG Europe). 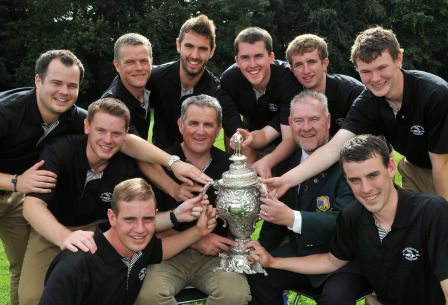 At back (from left) Graeme Laird, Alaistair Kerr, William Russell, Karl Eccles, Colm Murphy, Lee Crawford, Gerry Fyfe (President, Clandeboye Golf Club) and John Walker (Team Captain). Picture by Pat CashmanIn the opening match Graeme Laird and Lee Crawford were never ahead against Sligo’s Sean Flanagan and Declan Reidy. Having gone two holes down early on, Laird and Crawford struggled to get anything going and were four down after 12. After a wayward approach to the last green, the Clandeboye pair gave Sligo an opportunity to win another hole, which Flanagan and Reidy did, to give Sligo a five hole advantage. In the second match Irish international Gary McDermott and his playing partner Steffan O’Hara raced into a 2 hole lead early on against Murphy and Russell, but by the time they stood on the 13th tee, the Clandeboye pair had turned things around in dramatic style, establishing a four hole lead, having won six of the previous eight holes. 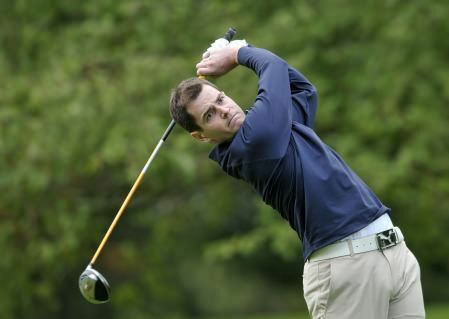 Graeme Laird (Clandeboye) driving during the Barton Shield final at the GUI All Ireland AIG sponsored Cups & Shield National Finals at Royal Golf Club. 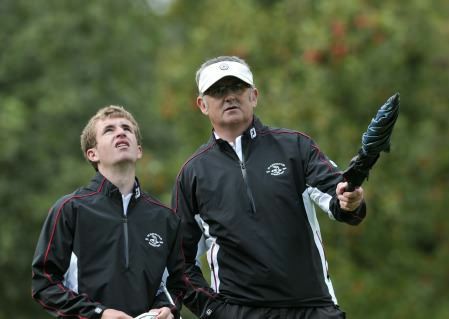 Picture by Pat CashmanTwo more wins were claimed by the Ulster duo in the latter stages of the back nine, and as they watched Laird and Crawford lose their final hole, Murphy and Russell knew they had to avoid a final hole meltdown to claim victory. Instead, the meltdown came from the Sligo duo. A drive to the rough on the left from McDermott, was followed by a pushed second by O’Hara who ended up pin high, some 35 yards from the green, with a pin cut just a few paces on. Sean Flanagan (Co Sligo) with his caddy Tom Ford during the Barton Shield final the at the GUI All Ireland AIG sponsored Cups & Shield National Finals at Royal Golf Club. Picture by Pat CashmanA tough third shot lay ahead of McDermott who was unlucky to catch the bunker guarding the green. 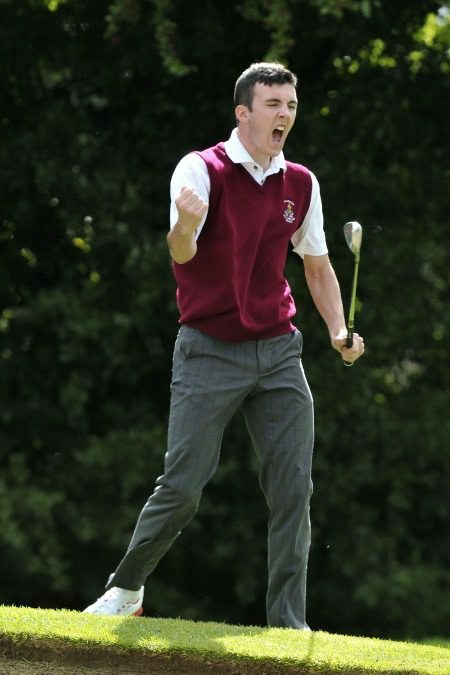 When O’Hara blasted out of the bunker and McDermott missed the subsequent putt - the hole was conceded to give Murphy and Russell a seven hole win and Clandeboye were crowned Barton Shield Champions for 2013. Russell, a former under 15 boys champion and Irish boys international was happy with their performance. How did his more experienced partner help him? “Colm’s fine. He hits it straight, gets it down the middle. He’s always talking to me and keeps me calm. William Russell (Clandeboye) driving during the Barton Shield Final at the GUI All Ireland AIG sponsored Cups & Shield National Finals at Royal Golf Club. Picture by Pat Cashman“On the last hole I just said to myself to get into the routine and hit a good shot. It was a 4-iron. I just wanted to hit it up the green somewhere because I knew they were way left of the green. 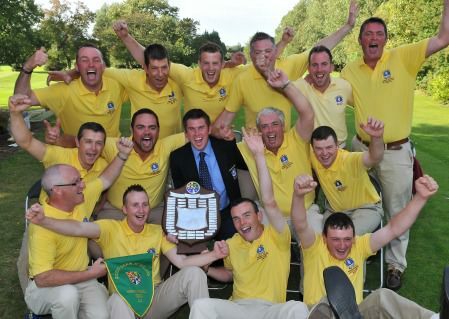 This is Clandeboye’s first Barton Shield win since 2002 at Galway. Ballybunion Golf Club winners of the Junior Cup the at the GUI All Ireland AIG sponsored Cups & Shield National Finals at Royal Golf Club. Picture by Pat CashmanIn the Junior Cup, Ballybunion lifted their first green pennant since 1979 as a team comprised entirely of teenagers beat Westport 4-1. John Molyneaux Jr, Frank Geary Jr and Richard Hanley all won their matches, with Senan Carroll and Jason Lynch being called in while they were both in control of their respective matches. The win was sealed in style for Ballybunion, who had played Royal Tara no fewer than six times in the run up to the Cups and Shields week, and with their anchorman Jason Lynch unbeaten all year in the competition, this was a win to savour for the Munster champions. Ballybunion’s Richard Hanley (right) celebrates with his caddy James Lavery after chipping into the 16th hole to win his match and the Junior Cup at the GUI All Ireland AIG sponsored Cups & Shield National Finals at Royal Golf Club. Picture by Pat CashmanUlster champions Rossmore bowed out of the Pierce Purcell Shield at the hands of Spanish Point who have set up a final encounter with Claremorris. 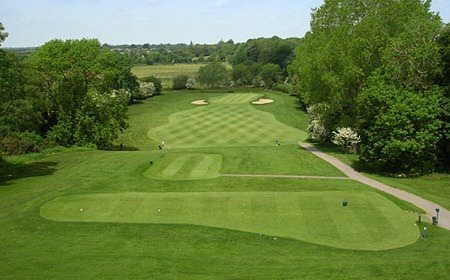 Rosapenna take on Carton House in Friday’s semi finals of the Senior Cup with Co Sligo taking on Cork in the other match while in the Jimmy Bruen Shield, Tandragee take on Athlone and Castlecomer meet Killorglin. J Lynch halved with S Larkin. K McDonagh & R Higgins lost to J Dowling & G Beagan 6/5. C O’Loughlin & K Hynes v M Monaghan & P Coyne. D Breen & D Fogarty v J Kennedy & D Carmody. J Rice & D Rushe v E Nixon & J Quinn. Clandeboye’s Graeme Laird watches his drive at the 17th in the Barton Shield semi final against Cork at Royal Tara Golf Club. 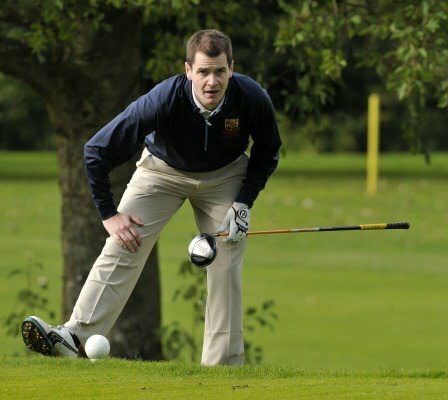 Picture by Pat Cashman/cashmanphotography.ieThere were mixed fortunes for Ulster clubs at the AIG Cups and Shields as Clandeboye marched into the final of the Barton Shield at the expense of Cork while Slieve Russell lost to Westport in the semi-final of the Junior Cup at Royal Tara, writes the GUI.